We specialize in demolition from residential driveway pavement to commercial buildings of any size. 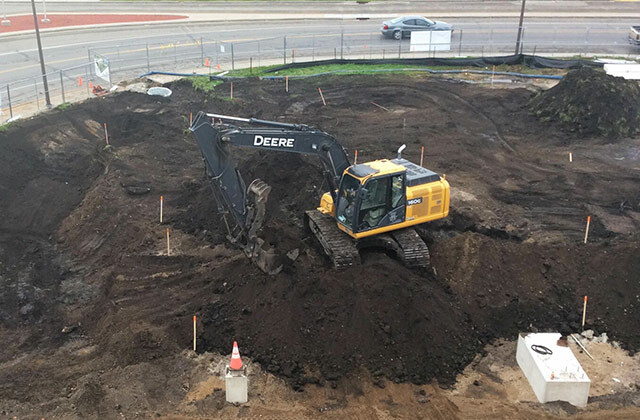 We offer stormwater pollution prevention, grading, driveways, streets, new homes, and foundation backfills with compaction and excavation. We install site utilities for commercial and private-type developments. Offering 12,14, 20 and 30 cubic yard capacity roll-off type drop containers for new building and remodeling projects year around. 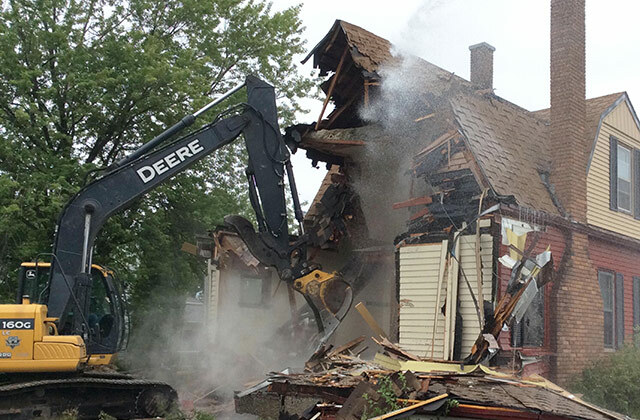 We specialize in demolition projects from driveway pavement to residential or commercial buildings of any size. We also provide site restoration. We can prepare your site from the initial state to the final phase, especially on the residential side where there is no grading plans. 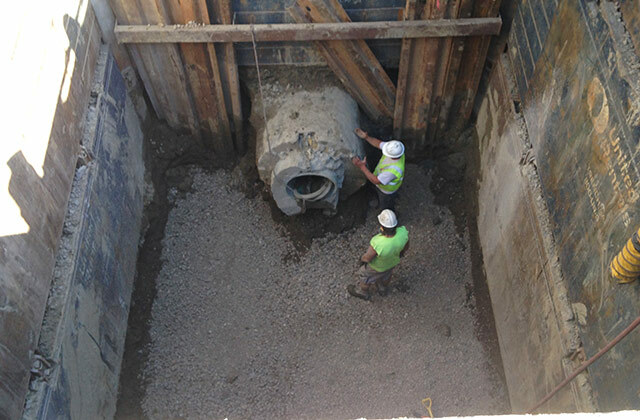 We could install site utilities for commercial and private-type developments, sewer water mains and storm sewers for each project. 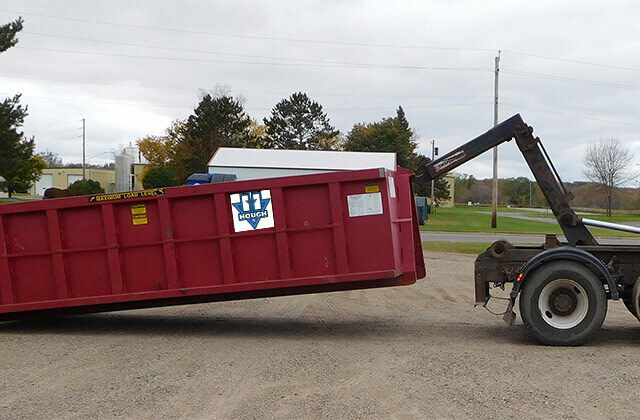 We offer 12,14, 20 and 30 cubic yard capacity roll-off type drop containers for new building and remodeling projects year around. 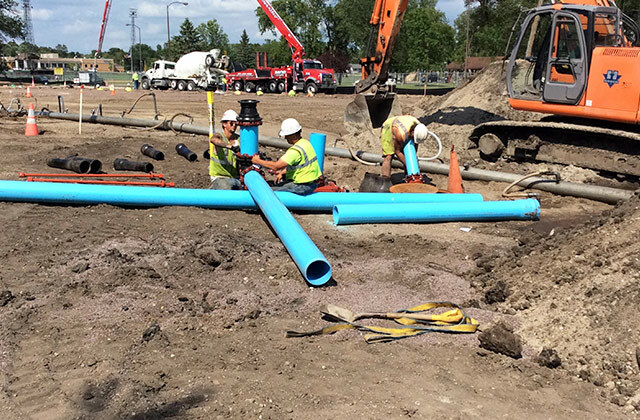 Located in Detroit Lakes, MN, Hough Inc. projects consist mainly of earthwork, underground sanitary and storm sewer, and water utility installation and demolition for private and public clients throughout Northwest Minnesota and Eastern North Dakota. Company owned and leased gravel pits and demolition landfill, the Lakes Area Demolition Facility, compliment these operations. Providing the highest level of quality services for our customers. Our work is performed properly the first time. Over 48 years in the business! Bonded, licensed and insured for demolition, earthwork, and underground utilities work. The prices for our services are competitive and fair. In addition to contracting work, Hough, Inc. supplies boulders, aggregates, topsoils and mulches. Furthermore, a full-line of Anchor Block and Borgert Products is offered for wholesale and retail sale. Serving Northwest Minnesota and Eastern North Dakota. © 2017 Hough Inc. Website by Arvig® | SmartSearch.